The crypto regulation turf in the US is divided between the two regulators. Bitcoin exchange-traded funds (ETFs) are long overdue for approval from the Securities and Exchange Commission. Although the regulator is reluctant to approve multiple ETF requests, it did not cite any strong reasons behind it. 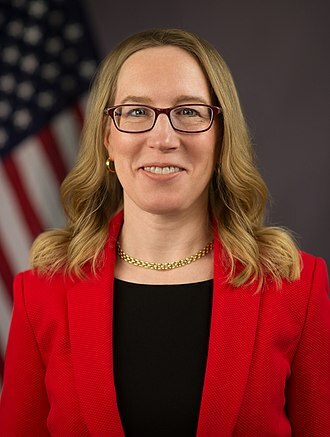 In a Bipartisan Policy Center event called “The Year Ahead for Capital Markets” last week, the two US market regulators – the SEC and the Commodity Futures Trading Commission (CFTC) – shared their views on the Bitcoin futures and ETF market. “I think we have to be very careful with that kind of reasoning,” she added. The SEC, in the past, has rejected multiple pushes by major market players – including Chicago Board Options Exchange (CBOE) and Winklevoss brothers – to get approval for Bitcoin ETFs. CBOE recently resubmitted its application which is pending for a review with the regulator along with a similar filing by NYSE Arca. CBOE and the CME Group launched Bitcoin futures in the market in December 2017, which pushed the digital asset, and also the market as a whole, to touch its peak. However, since then the coin is in a downturn losing more than 80 percent of its value. As reported by Finance Magnates earlier this month, the Bitcoin futures market also took a hit since September last year as the trading volume is declining drastically. A turf war is also going on between the two regulators for the control of the cryptocurrency market. Although Bitcoin and Ethereum fall under the CFTC’s purview, the SEC is still controlling the larger initial coin offering (ICO) market. “Because of our lack of statutory oversight capability, I’ve suggested that these platforms come together to form some type of self-regulatory structure where they can discuss, agree to, implement, and hopefully examine or audit themselves,” he added. Will We See a Collaboration? “There [are] questions about where your jurisdiction ends and ours begins and again we don’t want to have overlap there so you know my main concern has been that I think we need to do a better job providing guidance,” Peirce told Quintenz.